Nowadays one of the problems of optimization is the control of the traffic in cloud applications and services in the network environment of virtual data center. Taking into account the multitier architecture of modern data centers, we need to pay a special attention to this task. The advantage of modern infrastructure virtualization is the possibility to use software-defined networks and software-defined data storages. However, the existing optimization of algorithmic solutions does not take into account the specific features of the heterogeneous network traffic routing with multiple application types. The task of optimizing traffic distribution for cloud applications and services can be solved by using software-defined infrastructure of virtual data centers. 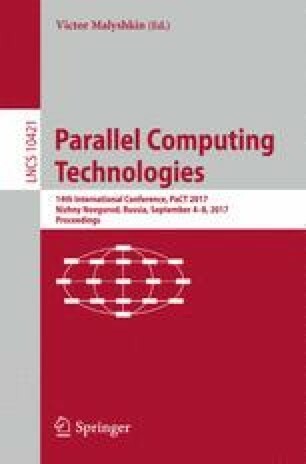 We have developed a simulation model for the traffic in software-defined networks segments of virtual data centers involved in processing user requests to cloud application and services within a network environment. Our model enables to implement the traffic management algorithm of cloud applications and optimize the access to storage systems through the effective use of data transmission channels. During the experimental studies, we have found that the use of our algorithm enables to decrease the response time of cloud applications and services and, therefore, increase the productivity of user requests processing and reduce the number of refusals. The research has been supported by the Russian Foundation of Basic Research (grants 16-37-60086 mol_a_dk, 16-07-01004 a), and the President of the Russian Federation within the grant for state support of young Russian scientists (MK-1624.2017.9).